Your website design says everything about your business—literally. Your design highlights the important aspects of your business and provides important details to your customers in an appealing and professional way. We are here to bring your website design ideas to life. Our designs deliver a return on your investment. Lets work together to create a website that you’re going to love. When you work with us , our goal is to make sure your vision comes to life. We honestly want you to love your design from start to finish. We Listen – Initial meeting where we get to know you and your company and what your expectations are of your website. Consultation – We then consult with you about your ideas and what ideas we have and how we can create a website for you that best fit your company needs. Brainstorming – Our innovative website design team will brainstorm options for a functional and unique layout of your ideal website. Internal meetings with marketing and user experience specialists help create website designs built to succeed. Initial Web Design & Revisions – We provide you with two home page web designs options for review and selection. Final Website Design – Once you’ve made a choice and given us feedback on the presented website designs, we produce a finalized website design concept to you. Then the process is repeated on the secondary web design pages. Website Design Development – After all web design choices are finalized we start the development process. Content Loading – Content is added to the site to develop the web design and prepare the website for launch. Training – We will train you on how to use your website in just one hour and. 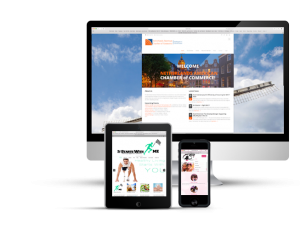 Launch – Once you are comfortable with the website design and how it looks we take it live. Ongoing Support – Ralph Walker Designs provides ongoing support for the website that we build. Which means that after the website is fully built we never part ways.